We’ve had a busy summer here at the Small House Society. Here’s the latest news. Tiny House Nation. 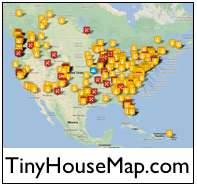 In case you’ve not heard yet, the small house movement is now a television show on A&E called Tiny House Nation. It’s free advertising for our movement, so we should do all we can to help promote it. The show airs live on A&E, and can be viewed online by those with an approved television service provider login. Join us in Iowa for a one day workshop, kicking off the construction of a 12-foot tiny house on wheels. During this day-long intensive you will frame the floor and walls, anchoring them to a utility trailer. 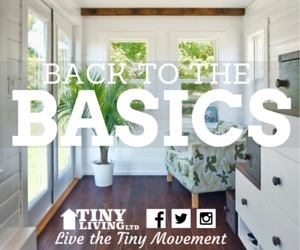 PAD is partnering with a local volunteer group, TINY HOUSE IOWA CITY, and Dee will teach the workshop along side her brother, Doug, a long time builder and teacher. The workshop will be held at Coralville United Methodist Church, 806 13th Ave, Coralville, IA 52241, and will include a meet-up social on Saturday night in Iowa City. To register visit Dee’s website (here). To help spread the word, click here for the Facebook event page. Free Road Trip! 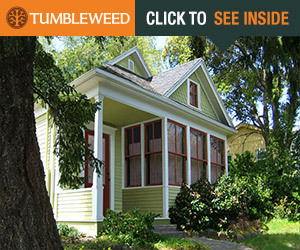 Check out this all expense paid road trip from Portland to Austin + free little house vacation stay. This is a great opportunity for the right person to enjoy a road trip and vacation all paid. Small House Competition. The Sing Core group is having a small folding house competition. Check it out. Annual Fundraiser. At the start of each new year, we focus on fundraising for only a few weeks. Donations help us have greater impact throughout the year ahead in promoting and supporting the small house movement. This year, we had only one brief mention of the fundraiser, and as a result, we’ve had only 12 donations come in. So, if you feel inclined, consider donating to our cause. You can give using PayPal, Fundly, or by sending a check to: Small House Society, PO Box 2717, Iowa City, IA 52244-2717. Thanks! Media Requests. Click here to view the recent media requests and help as you’re able. Thanks! I would love more info on being a contact or some kind of help for the Indianapolis area. We have a group here already and would love to connect to others.